90.5 Shine FM aka CKRD-FM is a Christian Talk and Gospel station launched in Red Deer, the third most populous city in Alberta to broadcast Christian values and religious programming. 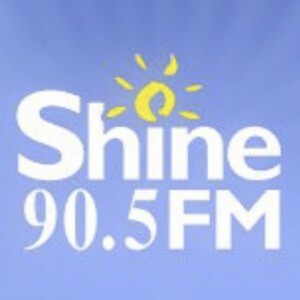 Shine 90.5 owned by Touch Canada Broadcasting was launched after an approval from CRTC on December 8, 2009. The call-sign (CKRD-FM) was previously used by CHUB-FM and then CHCA-TV (now defunct) before the channel took it. Edmonton 105.9 and Calgary 88.9 are the other joining the network. The mission of the Shine is to transform the lives of people and reform the society with spiritually vital content that strengthens the faith and relationship between the God and its people. Listen Shine FM 90.5 (CKRD-FM) live from city of Red Deer in Red Deer and the county of Red Deer in Alberta. Wait as the auto-stream loads.